At tonight’s D23 Expo Bob Chapek, Chairman of Walt Disney Parks & Resorts, made the announcement that a new TRON attraction will sit in an entirely new area right next to the Space Mountain attraction at Magic Kingdom Park at Walt Disney World. The current plan is to open the TRON attraction in time for Walt Disney World’s 50th Anniversary in 2021. A similar ride opened in the Tomorrowland section of Shanghai Disney Resort in 2016. 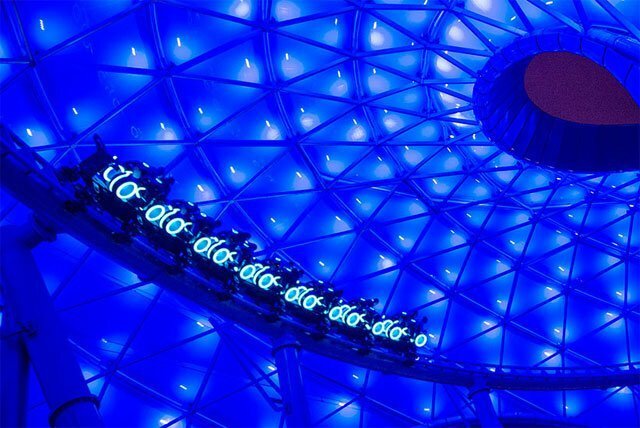 The TRON Lightcycle Power Run attraction at Shanghai Disneyland is a coaster-style attraction where riders board a train of two-wheeled Lightcycles. It offers access into the energy, lights and excitement of TRON’s high-tech universe. The land will feature a massive, color-shifting canopy near the TRON Lightcycle Power Run, similar to the one in Shanghai.